Warburtons recently invited a group of hungry bloggers to their very own Newburn Bakehouse in Newcastle - home of their fantastic Free From range. We caught up the Chris Hook, Managing Director at the Newburn Bakehouse to talk about their exciting new range, donuts and of course, afternoon tea! 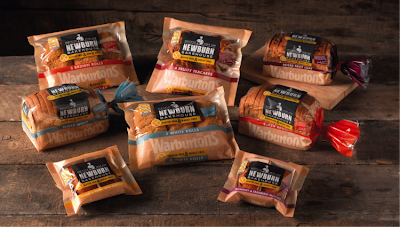 ATC: Why did Warburtons revamp and rebrand their Free From range – how has it been received? CH: We launched the new brand Newburn Bakehouse, to give it its own identity – which is good because it offers a lot more stand out value on the shelf. We did a lot of market research before we even launched which proved that Warbutons needed a sub-brand. What we’re doing is improving the recipes. Warburtons launched the range in 2011 and it wasn’t as ideal as they wanted it to be – so we spent a fair amount of time getting the recipes up to a level which was more acceptable. The improvement programme continues – we never really stop. What new products are being launched by the Newburn Bakehouse? Some of the new products that we’re launching include; a white baguette, 600g seeded loaf and also a golden syrup and mixed fruit muffin – which we’re calling a morning muffin. It’s interesting because people were saying what they would really like is a larger sliced loaf that doesn’t get lost in the toaster! And when we first showed it, it was a bit of a Blue Peter ‘Here’s one we made earlier’ moment, as the 600g loaf is just like a normal loaf of bread. It’s exciting and it’s challenging. When you start out, you look for what the gaps in the market are but you also look for what consumers are looking for. The real challenge is trying to translate those ideas and concepts into real products – that’s when the real hard work starts. Can any bakery product be made gluten free or are there some things that just don’t work? Most things are doable but some are more challenging than others. One thing that’s been asked for a number of times is a donut. And doing a donut is doable but because it’s a fresh product you have to eat it within a day and that’s a real challenge. Those are the areas that are challenging and we try to find ways around that. What does the new brand stand for? We are trying to benchmark our products not just against other competitors but also against what our colleagues bake in what we call, the ‘core bakery’ - so the normal Warburtons products. Our aspiration is to make them taste as good as they do in the core bakery and also appear, look, taste and feel like the real product. There are products even in our range now that I would challenge anyone to say are gluten free. For example the muffins and spiced fruit loaf. I know people who eat the Newburn Bakehouse spiced fruit loaf out of choice because they like the taste. What is your favourite product from the new Free From range? I think the baguettes are fantastic and a close second would be the seeded loaf. I took that one home whilst we were developing it. I’ve got 6 children and my oldest son is wheat intolerant. I just slipped it in and nobody could tell the difference. 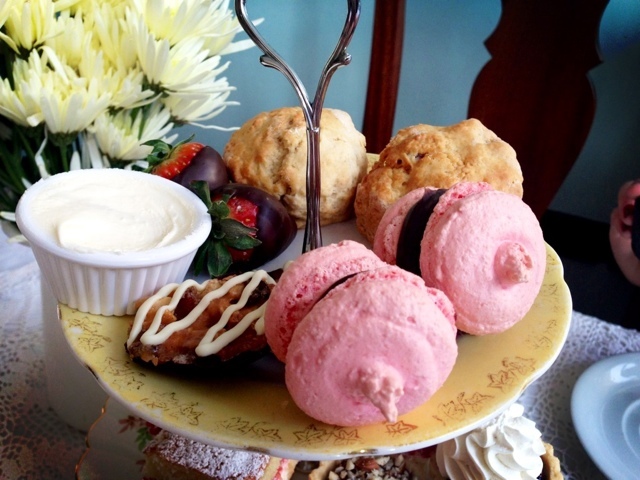 And finally, are you a fan of afternoon tea? I’m a great fan of afternoon tea. I’m a fan of tea and cake and also toasted tea cakes! I’ve just had one of our gluten free tea cakes actually. My favourite part of afternoon tea would have to be the selection of little cakes, especially those in hotels! 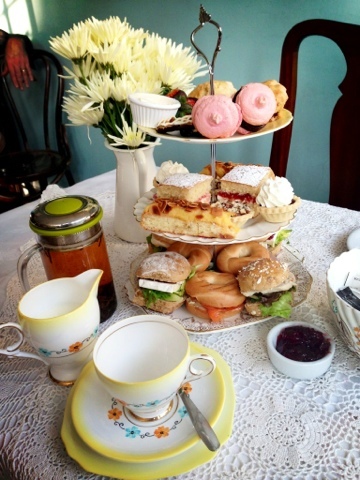 Any favourite afternoon tea places? 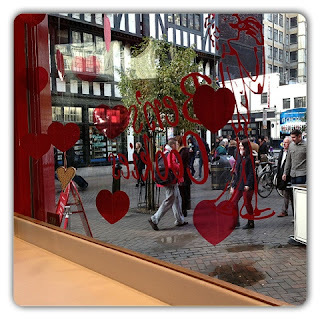 Probably the Grosvenor in Chester and also Bettys – they’re fantastic in there. We'll have to check that one out! For all the latest updates on Warburtons Newburn Bakehouse be sure to follow @WarbsNewburnBH on Twitter and make sure you check back with us when we sample and give our verdict on their brand new range! Last Monday The Afternoon Tea Club were invited to Cuthbert's Bakehouse in Liverpool for an afternoon of tea, cake and vintage fun! Upon first entering this little cafe I was immediately struck by its elegance - Fully decorated with pretty fairy lights, fête style bunting and traditional cornices, I think it’s fair to say that Cuthbert’s Bakehouse is a vintage treasure. Owned by Matthew and Elaine, Cuthbert’s attracts a large variety of clients, including students and businessmen alike - a testimony to just how far reaching its appeal is. The overall feeling is one of relaxation, with comforting turquoise hues running throughout, being off set with a variety of quirky features, including: lovely wooden floors, black boards and traditional net curtains. Particular highlights included their lovely antique furniture and old sweet counter which warmly greet you as you walk through the door, filling your senses with temptation - a real treat for the eyes! 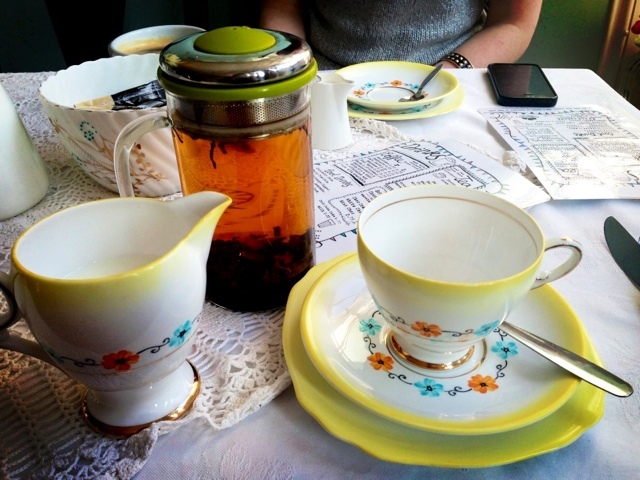 By combining a traditional British love for tea with a hipsters love for vintage, Cuthberts makes twee the new cool and sets itself apart as a prime hangout for Liverpool’s students. 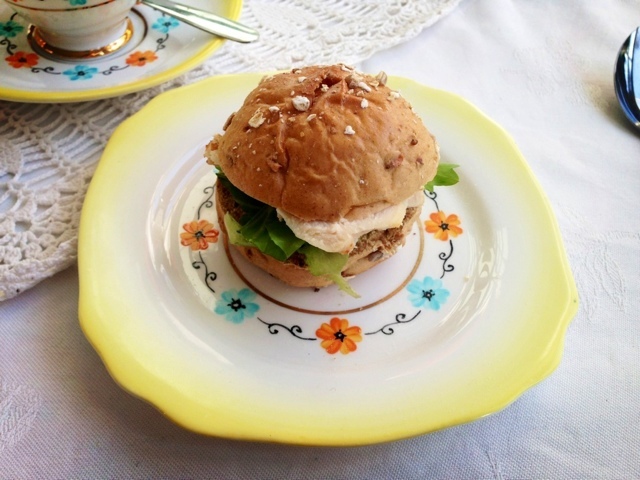 Homely furniture housed in beautiful vintage surroundings, earn this mini tea shop top marks for décor and make it a great find amongst the city’s bustling Mount Pleasant. I particularly loved the counter area with its adorable attention to detail, creating an illusion of organised clutter. The mix of colours on mismatched table settings, utensils and jars create an eclectic style that fuse together quite magically to achieve Cuthberts’ lived in and genuine personality. 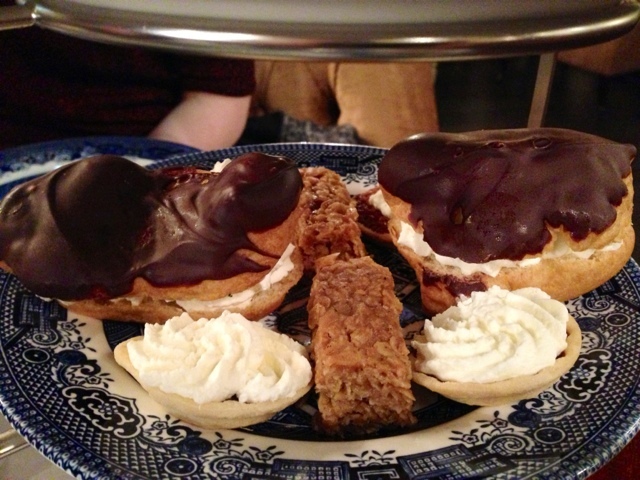 What can I say about the Afternoon Tea at Cuthberts? Not only is it incredibly delicious, but also remarkably generous. 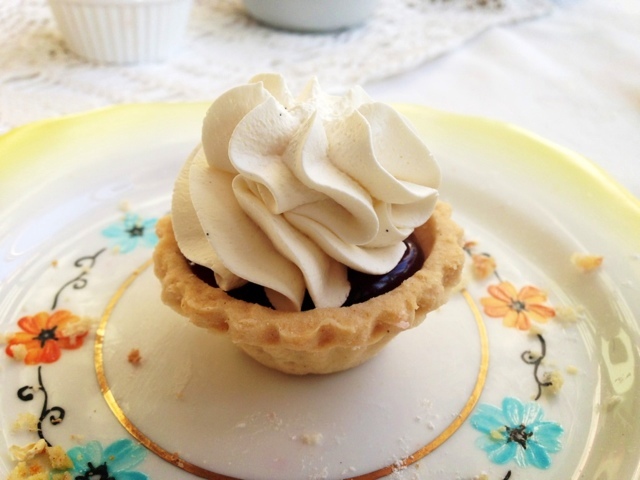 Serving everything from Chocolate dipped Strawberries to Salted Caramel and Hazelnut Tarts, this menu offers something for everyone and is perfect for casual indulgence or a special celebration. My absolute favourite from this selection had to be the Camembert and Cranberry Sandwich, closely followed by the mini Victoria which was very fruity and light - I could easily eat both of these all day long! - Chosen from a selection of co-owner Matthew’s favourites, this menu varies from season to season, but from the standard of what we were presented with on Monday, we are absolutely certain that the choice will be equally lovely all year ‘round! The first thing I thought when the food arrived was ‘How on earth are we going to finish all of this? !’ Actually that’s a lie - the first thing I thought was, ‘Oh wow’. Like Caroline said, the talented team at Cuthberts are certainly a generous bunch with a selection of afternoon treats big enough to keep your sweet tooth satisfied for much more than just one afternoon. In keeping with their hotchpotch style - our three tier tea stand was presented beautifully with a rainbow of fresh sandwiches and cakey delights. And they tasted just as good as they looked! Of course, before the sweet comes the savoury and we were treated to a fabulous selection of mini sandwiches that proved you can never underestimate the power of a simple sarnie. Whole mini buns bursting with beef and cheese and even miniature bagels filled with salmon and chicken were a welcome surprise and absolutely yummy too. Next up was my current favourite layer, a choice of both plain and fruit scones with jam and cream. They were both so tasty and the homemade spread made for a perfect middle tier. And finally, our fantastic dessert selection. Drum roll please! Bare with us, as this is an impressive list, here goes; Norwegian almond custard cake, hazelnut and salted caramel tart, blue berry cream tart, Victoria sponge cake, Florentines, macaroons and even chocolate dipped strawberries. Phew! My favourite was the hazelnut tart – deliciously smooth and the caramel underneath was a lovely surprise. 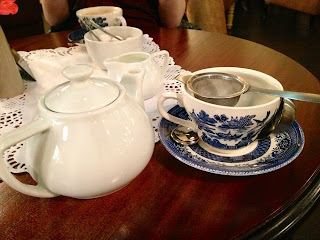 And to accompany our feast my teacup was constantly topped up with amazing Joe Black Coffee – perfect! The service at Cuthberts was prompt and polite, without being at all intrusive. 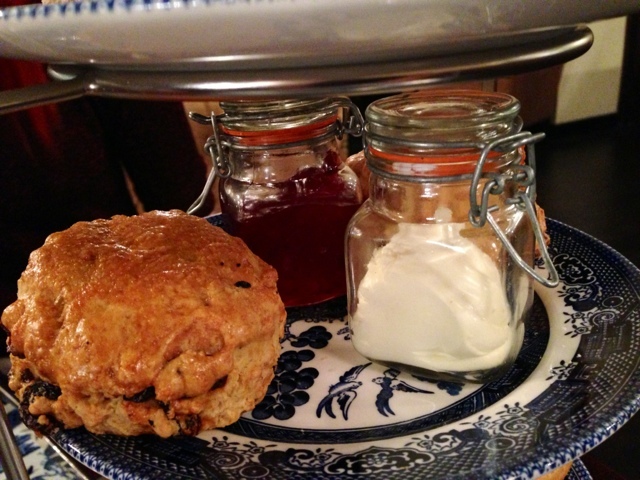 Everyone was very welcoming and ensured that our tea pots were always full - Top marks! The staff we met were very polite and friendly. The lovely lady who brought our food even gave us a handy guide detailing each part of the afternoon tea and also boxed up the cake we couldn't manage to finish. I loved the cute little takeout boxes these were presented in – they gave a really great lasting impression. 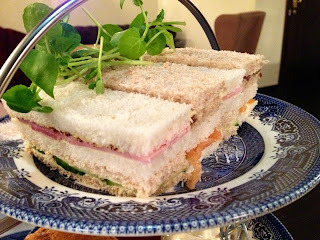 I had a lovely afternoon at Cuthbert’s Bakehouse and wouldn’t hesitate to return again in the future - if you're looking for a good value Afternoon Tea in quality surroundings, then you will not be disappointed by what Cuthbert’s has to offer. If I was a student in Liverpool, I can guarantee that Cuthbert's would be my go to coffee shop. They have a fantastic range of cakes and with an afternoon tea costing just £15 - you can afford to treat yourself more than every once in a blue moon. I say go now - before it becomes cool! As is common in the catering and leisure industry, we were provided with complimentary services for review purposes. Whilst this has not influenced our review, we believe in the full disclosure of all potential conflicts of interest. If you're looking for a coffee and sandwich in good quality surroundings, then all I have to say is 'head for Café Zest.' 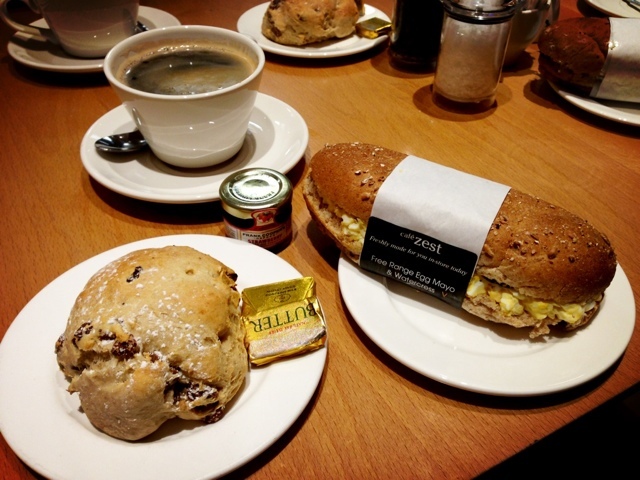 Situated on the fourth floor of Manchester's House of Fraser, this little café has a menu to delight and is the perfect place to break from the shopping rush. For many years the term 'department store café' has conjured up images of plastic chairs, chipped plates and tissue stuffed tea spouts, but no more - Café Zest is an innovation. 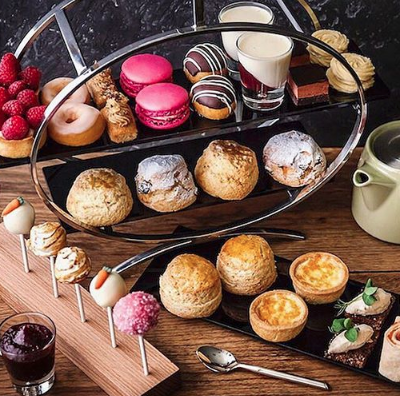 Not only is their dining space sleek and stylish, but they also serve an amazing selection of patisserie which include lovely fresh fruit tarts and pastries. They also do a cracking scone and great coffee. 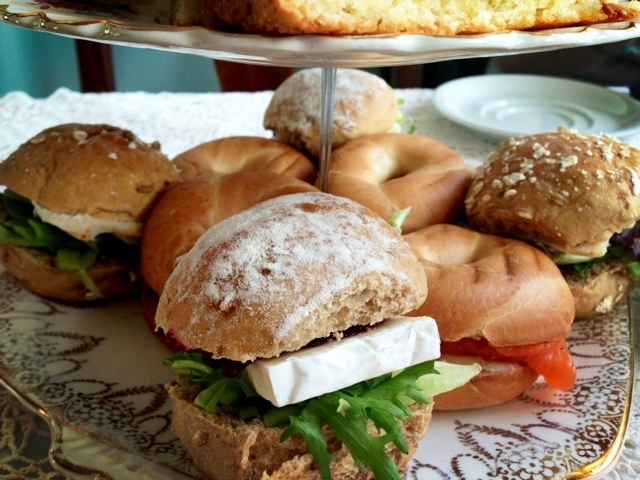 Last week The Afternoon Tea Club were invited to Annies for an afternoon of delicious indulgence. They have top hat light shades - I was sold there and then. Annie's is about mixing the theatrical with the elegant and they blend perfectly together under the guise of a traditional lounge style restaurant. Everything about the decor has been well thought out from the lavish chandeliers to the individual hand towels in the restroom. The restaurant is split into several parts for daytime, evening and private dining. I very much liked the downstairs lounge area and it would make a great venue for a private party. Annie's is classy and stylish yet still incredibly charming and welcoming. There is no sense of superiority even though the level of sophistication at this place says there should be! Annies is the definition of a hidden gem. Tucked away just around the corner from Manchester’s bustling St. Ann’s Square, this little restaurant is the perfect city centre retreat - an almost home from home. 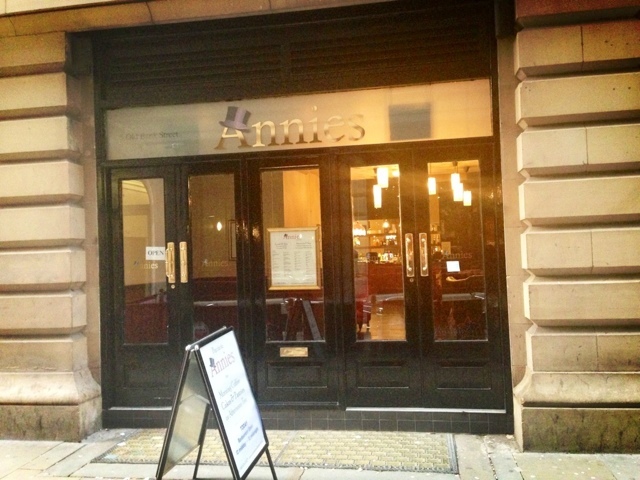 Co-owned by Coronation Street’s Jennie McAlpine and Chris Farr, Annies offers its guests a comfortable homeliness which is uncharacteristic of many restaurants in the city centre - and a very welcome change. 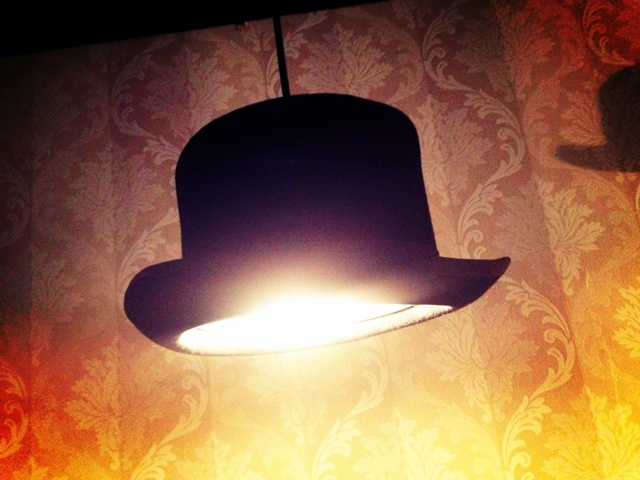 The furnishings at Annies are stylish yet familiar, comprising of brown hued armchairs and tables, elegantly accented with a variety of quirky paraphernalia, including bowler hat lamp shades and a decadent chandelier. The music choice was equally relaxing, with a selection of tunes from artists including, The Overtones and Michael Buble - as you can imagine, I was a very happy girl! I must admit, I didn’t know what to expect from afternoon tea at Annies as it is considerably cheaper than a lot of its competitors. 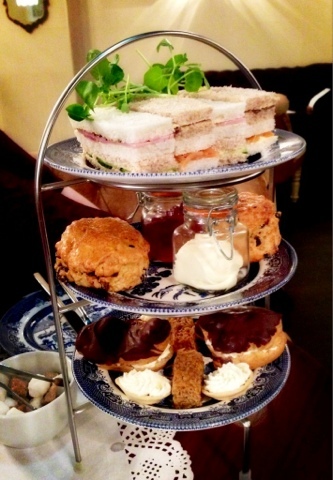 But their gorgeous afternoon tea spread proved that price is definitely no indicator of quality here. The selection of sandwiches was impressive with a good mix of salmon, beef, ham and mustard and cucumber, the ham being my fave. A very good start. 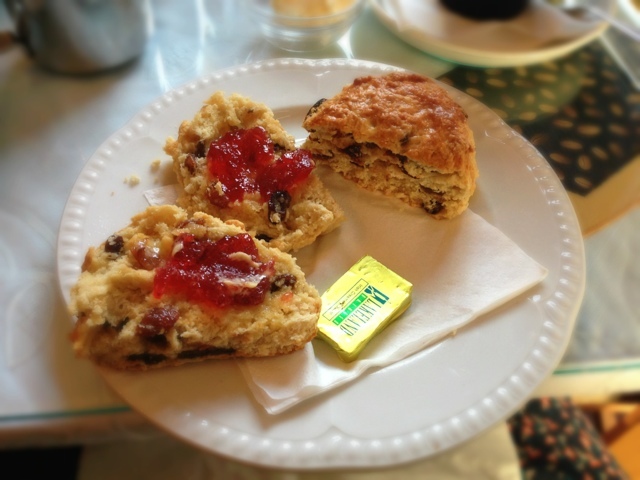 Speaking as a recently converted scone connoisseur – I realised this last week when I chose a scone over a slice of chocolate cake, my doctor’s appointment is booked for next week – I dove for the fabulous scones on our three tier tea. They were perfect, especially when layered with thick cream and strawberry jam, which came presented beautifully in mini jars. A nice touch. And definitely saving the best ‘til last – the mini cake selection. Flapjacks, chocolate orange tarts and éclairs were on the menu today and made a refreshing change to my usual go to desserts. Naturally I loved the chocolate éclair but the chocolate orange tarts were a particularly wonderful addition and a pleasant surprise when the orange kicked in. With generous helpings of tea and coffee delivered in traditional patterned china our afternoon was just perfect. For me, the highlight of this selection had to be the éclairs which were wonderfully light and filled with a delicious rich cream - indulgence itself. The tea was also lovely, served in abundance in pretty blue and white china which really added that extra little bit of sophistication. All in all a lovely spread! The staff at Annies were incredibly attentive and made sure our cups were always full with fresh coffee. Extra thanks must go to the restaurant’s lovely co-owner who gave us the grand tour and gave us the inside story on Annie’s origins. Did you know that Annies was named after St Anne’s Market and also inspired by a famous musical redhead –no prizes for guessing which one! Just absolutely faultless service. The service at Annies was both warm and welcoming with no request being too much for our generous hosts. As Laura said, particular thanks must go to Chris who really went that extra mile to make our experience memorable, answering all of our questions with great passion and enthusiasm. The love which all of the staff have for Annies is evident and it is this which will take them far. I can definitely see us returning to Annies in the future with a group of friends to enjoy their evening menu or even just for a quick tipple. There is a wonderful atmosphere and we were made to feel right at home - which is probably why we didn’t notice the afternoon pass us by! Oh, it’s a hard knock life. I loved Annies and will definitely be back soon to sample their evening menu in the downstairs dining area. If you’re looking for a relaxing environment with good food and friendly staff, then you can’t really go wrong with Annies. 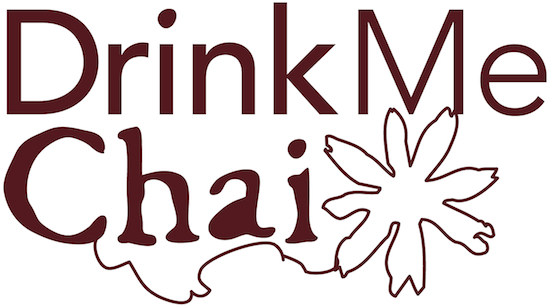 For our caffeine conscious readers, The Afternoon Tea Club teamed up with our friends at Drink Me Chai to sample some of their fab 99% caffeine free lattes! So what exactly is Drink Me Chai? A lusciously sweet, exotic blend of spices, tea and skimmed milk, it’s a different kind of hot drink – based on the original ‘latte’ invented in India more than 5,000 years ago. And because it’s 99% caffeine free, with all the antioxidant benefits of tea, it’s got that extra little virtuous edge too. So sit back, draw in the enticing scent of cinnamon, nutmeg, ginger, vanilla... and take a sip. We think you’ll be converted. Laura – “I must admit, I am a bit of a coffee fiend and so I couldn’t wait to try DMC’s reduced caffeine lattes. I tried both the vanilla and spiced latte flavours. The vanilla was definitely my fave - the perfect drink to unwind from a busy day with and great with either hot milk or just water. I added a light chocolate dusting too as an extra treat. Caroline - "What I loved most about 'Drink Me Chai' was how guilt free I felt after drinking it. The Vanilla latte in particular was lovely, being very reminiscent of that sold by one of the leading high street coffee chains, only with 99% less caffeine and available for immediate consumption within the comfort of my own home. Win-win! If you're looking to cut out the caffeine or just feel that little bit healthier, then I'd definitely give this product a try." Where was the original 'latte' invented? Email your answers to theafternoonteaclub@hotmail.co.uk with 'Drink Me Chai Comp' in the subject line. Don't forget to include your name and address. The closing date will be midnight on Thursday 28th February and we will announce the winner on Friday, March 1. Terms and Conditions: Open to UK residents only. Only one entry per person. Competition will close at midnight on 28/02/2013. The winner will be chosen at random and announced on 01/03/2013. The Afternoon Tea Club's decision is final and no correspondence will be entered into. There will be no cash alternative. Winner will be notified via email. By entering the competition the winner agrees to participate in such promotional activity on our website and Twitter. No responsibility can be taken for any entries which are not recieved for any reason. All prizes will be distributed by 'Drink Me Chai'. 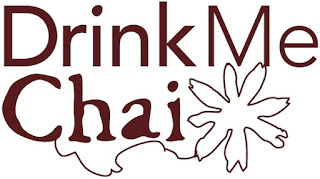 The Afternoon Tea Club operates as a separate entity to the Drink Me Chai company. It's not exactly traditional to have cupcakes for breakfast but walking past the window of this delightful little cupcakery, you have to forget it's 11am and just indulge - as I did! Decked out with 50's style diner seating and shelves stacked with increasinly popular American sweets, everything about this cupcakery invites you in - and that's before you've even tasted the cake. The lovely lady at Sooty's introduced us to all of the different cupcakes available that day, each of them made by her daugher. Naturally, as a self confessed Mini Eggs addict, I chose the chocolate buttercream Mini Egg flavour. It was just gorgeous, the buttercream was perfect and the sponge was nice and fluffy. To top it off, my coffee arrived in a pretty homely mug accompanied by floral patterned china to balance the quirky with the quaint. Overall Sooty's is a cute and quirky little place where the cupcakes live up to their pretty surroundings. Highly recommended for a sweet pit stop. Feeling lucky? Then take a trip to the fabulous Lucky Days cafe in York. Situated in York's wonderfully traditional cobbled streets, Lucky Days is the perfect place to stop for lunch amidst all the shopping and sightseeing the city has to offer. The format is geared towards modern lunching with a compact hot food counter that serves soups and baked potatoes and a canteen style dessert station - all ran by lovely, enthusiastic and friendly staff. The cafe boasts a rather inventive alternative to the typical loyalty stamp card. On your first visit you will be presented with a card that entitles you to a roll of the dice on your return. Should you roll a 6, every item on your bill will then only cost you £1 - how cute is that?! The food is just delightful. Perfectly fluffy baked potatoes and healthy soups (I chose both!) 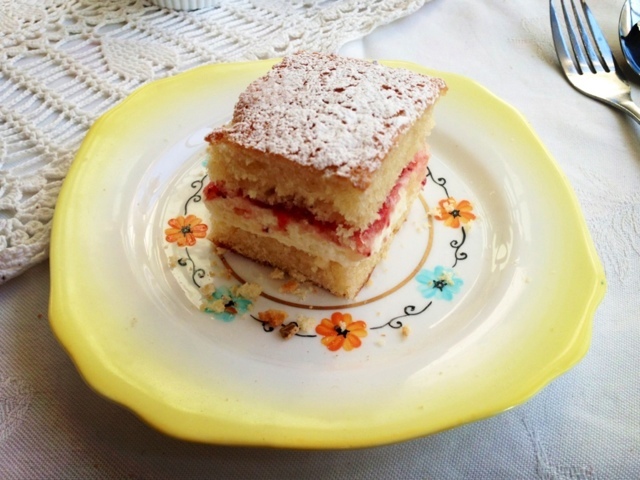 and amazing cakes and scones - well you've got to try it all haven't you? For a quick bite or coffee and a cake, Lucky Days is definitely a must - and it may only cost you a quid - good luck! A few weeks ago we were challenged by our friends at bakingmad.com to attempt an Afternoon Tea challenge using recipes from their website. Check out their website for information on how to make cupcake recipes and more. How do you think we got on? Do let us know if you try any of the recipes above, we'd love to know what you think! Located in London's über cool Carnaby Street (So cool in fact that Irregular Choice shoes have their own shop - I know!) 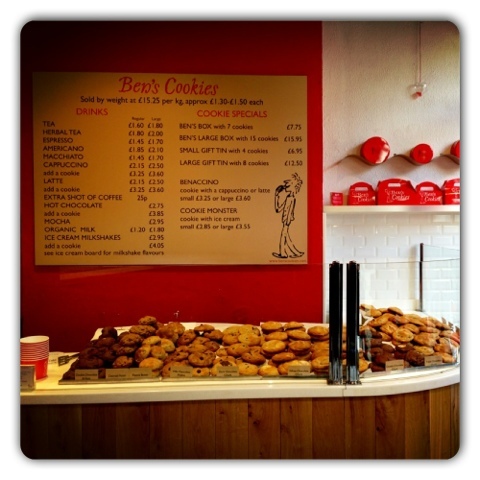 the aroma from Ben's Cookies turns a desire for the designer into a craving for cookies. This cute mini cookie bar is decked out with bold red furnishings and shiny hearts that drape across the windows. Gorgeously romantic and also very British with Quentin Blake style artwork infused into its signature look - ideal surroundings for a Valentine's treat! The cookies themselves are something else. Soft and gooey with huge chocolate chunks, in particular the white chocolate flavour. 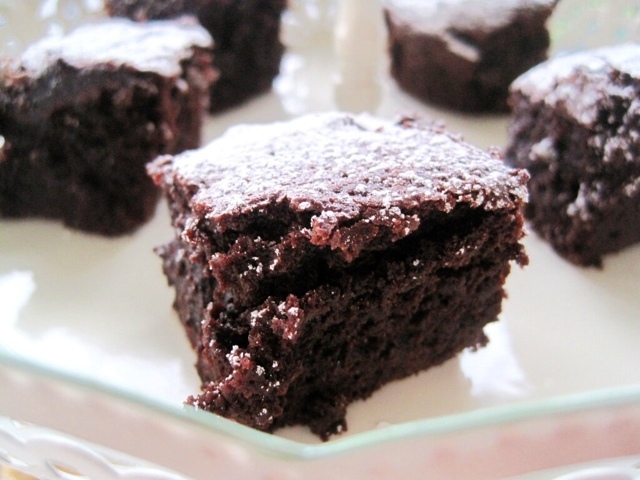 There are also raisin options and brownies on offer along with a selection of hot and cold drinks. A spacious outdoor seating area puts Ben's Cookies at the top of our list for perfect summer coffee stops! 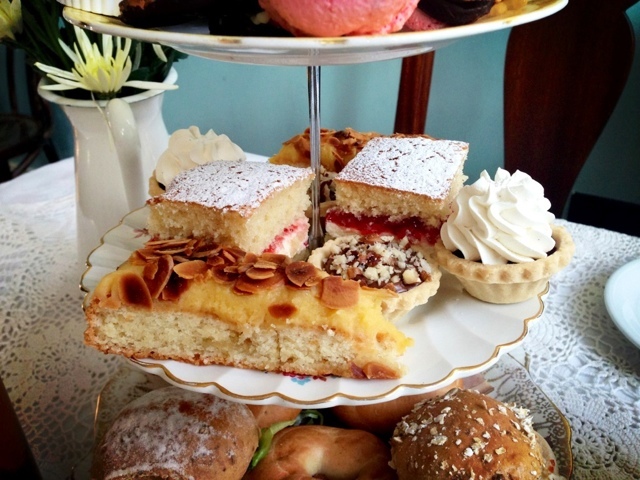 For the last twelve months The Afternoon Tea Club has dealt almost exclusively with the lovely and varied establishments of the North West, sampling their teas and reviewing their cake to great effect. However, the time has come for us to spread our wings and fly down south (once a month) to explore the wonderful teas of London. To assist us with this challenge we've recruited a brand new guest blogger, Sorcha Stott-Strzala, who will be reviewing on the site once a month, offering an insight into the London Tea scene. With a background in high-end Afternoon Tea, we know that she's going to make an excellent addition to the team - Welcome Sorcha! 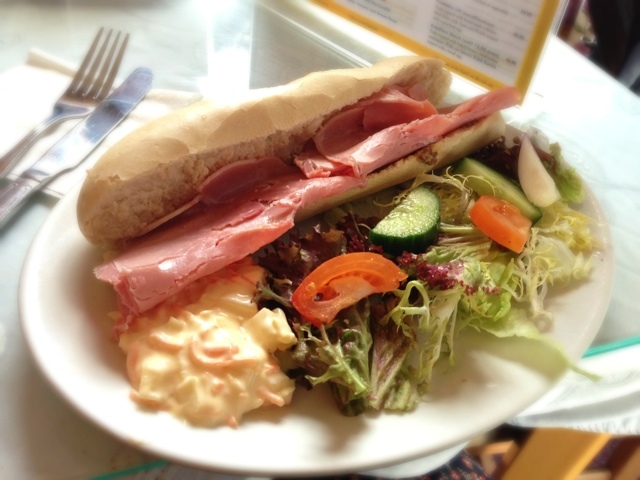 When in Hebden Bridge, Lunch is an absolute necessity, and with so many different places to choose from you can be really spoilt for choice. On my most recent visit to the town, I decided to venture into the Watergate Tearooms (which have long been tempting me) to sample some of their lovely fare. Offering extensive menus, which include both full afternoon and cream teas, this little cafe has something for everyone. The scones in particular are delicious, served warm with lashings of jam and cream - the perfect winter warmer by itself or with a cup of tea. Similarly the sandwiches are presented to a high standard, made using good quality products and garnishes. However, there is one small downside to this cafe. On the day that I visited the service was particularly slow, with us being left waiting for the best part of an hour to be served our tea and sandwiches. In fairness, I must note that they were particularly busy, but I feel that even when considering this, the wait was a little longer than I would have otherwise liked. I wouldn't say that this is a reason not to pay them a visit, but just something to be taken into account if pushed for time. Otherwise, lovely food and very pleasant staff!